The King shall be enthroned in a position of revered worship and shall not be violated. No person shall expose the King to any sort of accusation or action. Lèse majesté... is the crime of violating majesty, an offense against the dignity of a reigning sovereign or against a state. In 2007, Swiss national Oliver Jufer was sentenced to ten years in jail for defacing pictures of King Bhumibol Adulyadej. When a store refused to sell him alcoholic beverages on the King’s birthday, he bought two cans of spray paint instead and wrote graffiti on outdoor posters bearing the Thai King’s face. After serving three months, Jufer was pardoned by the King and immediately deported. While Jufer’s case is admittedly extreme, his plight underscores a very real danger for visitors to Thailand: the country has very strict “lese majeste” laws that forbid speaking ill of the King, the Queen, or the Heir-Apparent. Those unfortunate enough to be found guilty of such a crime can be sentenced to anywhere between three to fifteen years in prison. Thankfully most of the country’s lese majeste convictions have been directed at citizens: a deputy minister was forced to resign after making an offhand joke about royalty, a professor was investigated after asking his students to debate the usefulness of royalty in modern Thai society, and a local website was shut down for “criticizing official calls for the public to wear black” after the death of the King’s sister. Most Thais find any negative opinion of the King unthinkable. Part of it is down to long habit; the late King Bhumibol Adulyadej was Thailand’s longest-reigning monarch, with a long list of accomplishments that have earned him his subjects’ undying affection and loyalty. Unlike many royals around the world, the late King actively committed himself to improving his subjects’ lives, traveling to the furthest reaches of his kingdom to talk to his poorer subjects and find solutions for their woes. Throughout his reign, the King accumulated a long list of royal nation-building projects ranging in scope from health to agriculture to education. The nation returned the King’s dedication in kind - and continues to do so for his heir, the present King Vajiralongkorn. 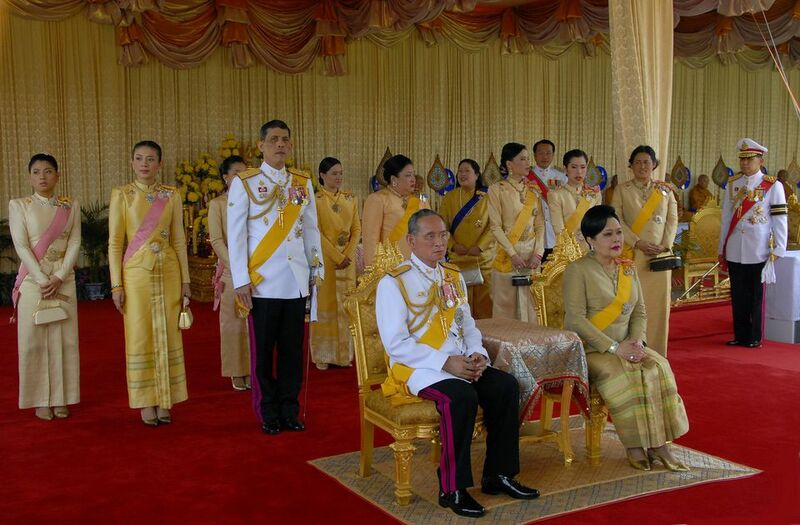 The King and his family are viewed as symbols of Thai national identity: their portraits adorn almost every home and office building, their birthdays are national holidays (unfortunately for Mr. Jufer), and people voluntarily wear yellow on Monday to honor the day of the week when the late King was born. While Thailand is legally a constitutional monarchy, the respect accorded to the King has translated into real political power, which he is not afraid to use in times of crisis. In 1992, as riots between democrats and the military engulfed Bangkok, the King summoned the leaders of both sides to meet him – news photographs of Prime Minister Suchinda Kraprayoon on his knees before the King led to his eventual resignation. To his credit, the late King never spoke out in favor of his country’s lese majeste laws – in fact, he once implied that he would welcome less strict applications of the law. "Actually, I must also be criticized," he said in 2005. "If someone offers criticisms suggesting that the King is wrong, then I would like to be informed of their opinion. If I am not, that could be problematic... If we hold that the King cannot be criticised or violated, then the King ends up in a difficult situation." Given the historical and emotional baggage, you are well advised to keep any negative opinions of the King to yourself when you're in Thailand. Granted, few visitors are likely to cause offense on purpose, although some Thais might be offended by unintentional gaffes like stopping a rolling coin (with the King’s face on it) with your foot (touching a person’s body with one’s foot is grossly rude in Thailand). Images of the King are meant to be treated with almost as much reverence as the King himself, so using a rolled-up portrait of the King to squash a cockroach is an egregious social error. Granted, it’s not serious enough to get the police on your case, but it will cause great offense to any Thai who witnesses it. Fortunately, Thais are rather forgiving, so honest mistakes quickly apologized for are just as quickly forgotten. For other mistakes you would do well enough to avoid, read about these tourists behaving badly in Southeast Asia.